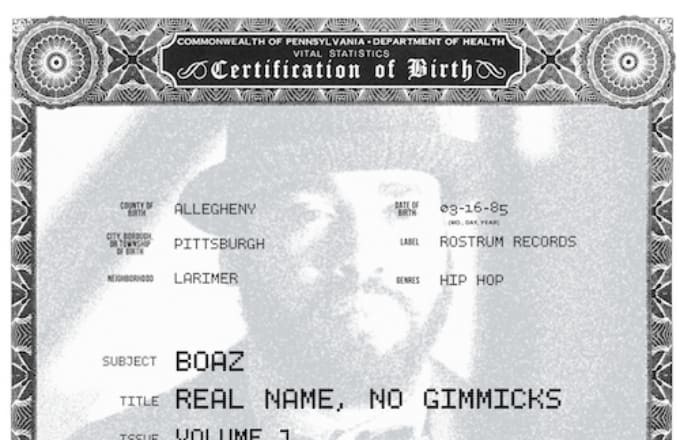 Pittsburgh born rapper Boaz has unleashed the first installment in his Real Name, No Gimmicks series. The five track EP contains an impressive number of guests which include Scarface, Chevy Woods and TDE president Punch. Production is handled by Illmind, Sap and Taliban Ju. The short, but sweet EP finds Boaz not only holding his own with the impressive list of features, but also displaying his laid back flow over a variety of production. Stream the EP below.